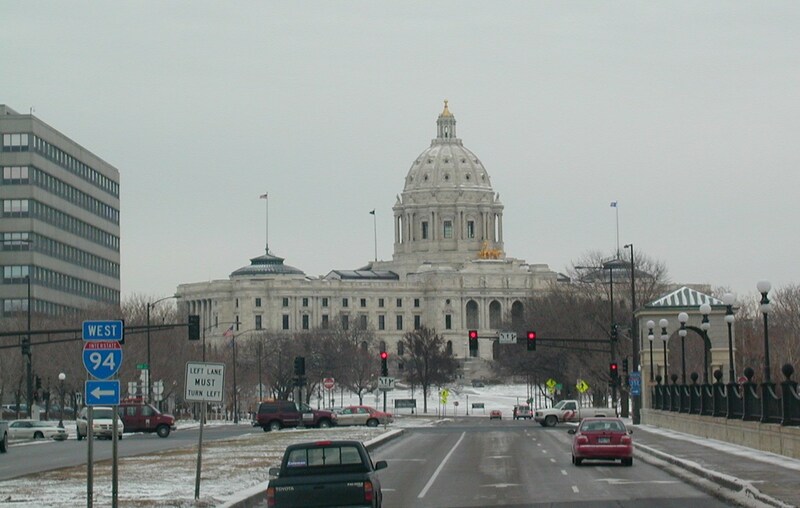 That's Minnesota's capitol off in the distance. 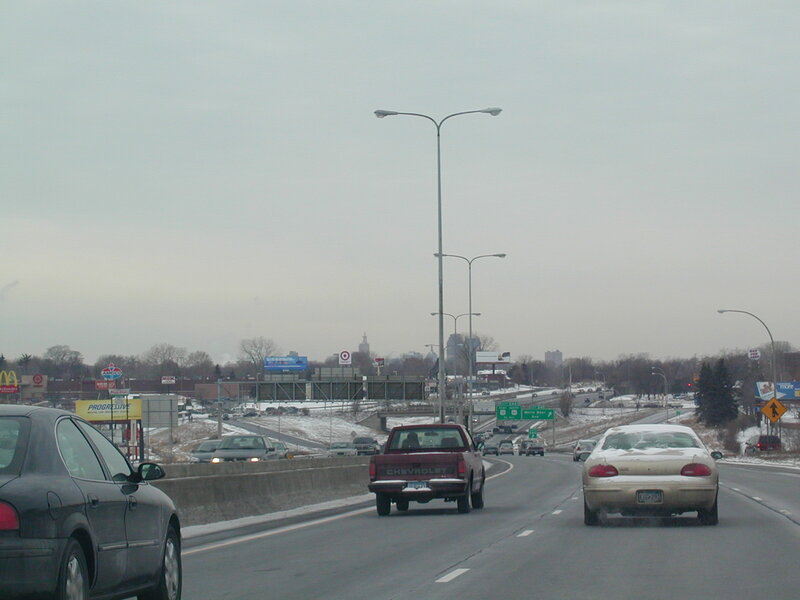 I-94 West at US 10/61 in the outer regions of the city of St. Paul. 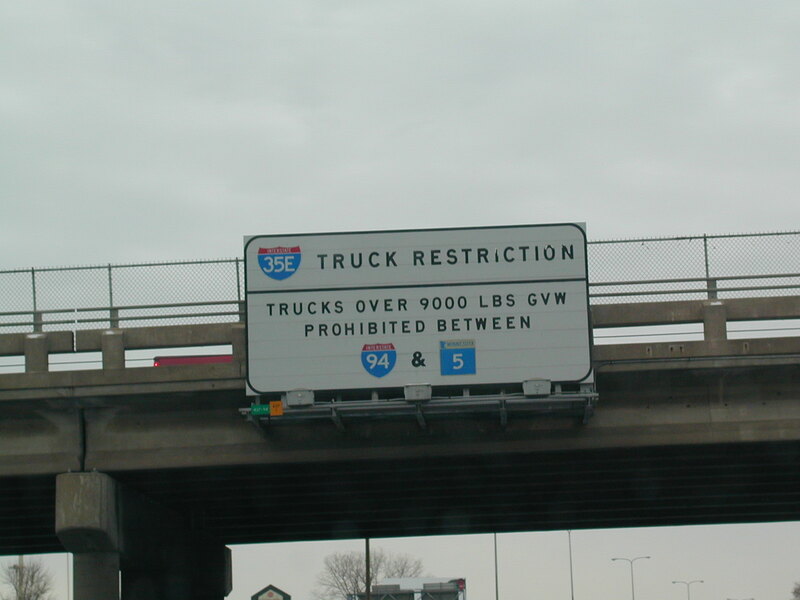 There's a truck restriction on I-35E for a little while. 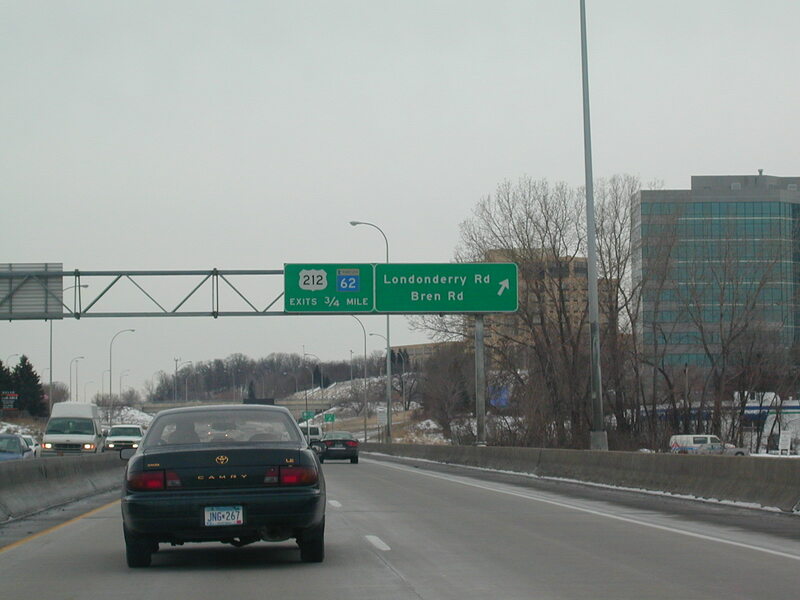 Approaching central St. Paul. 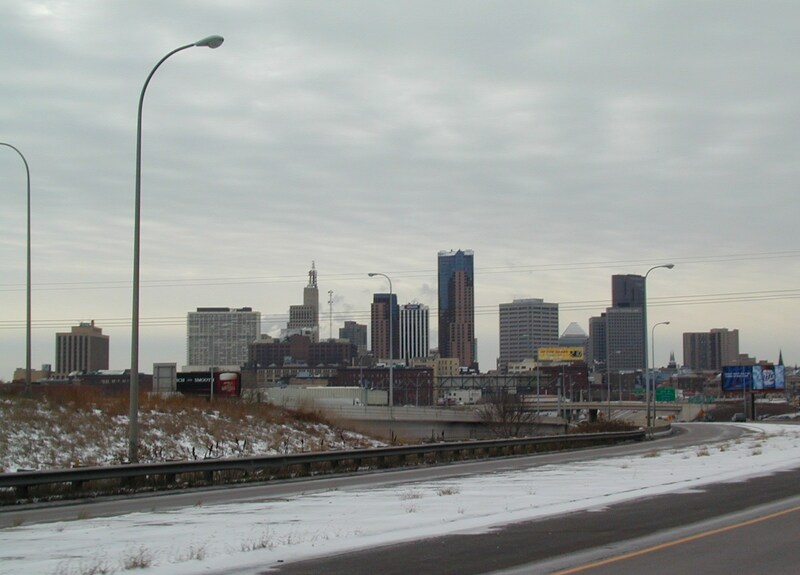 Part of the St. Paul skyline. A clearer view. 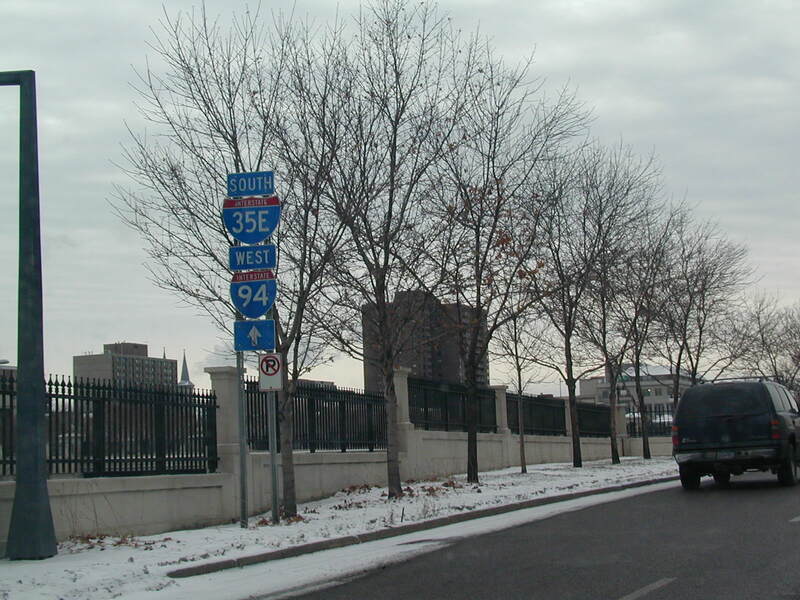 I-35E and I-94 shields in downtown St. Paul. We're off the interstate now. 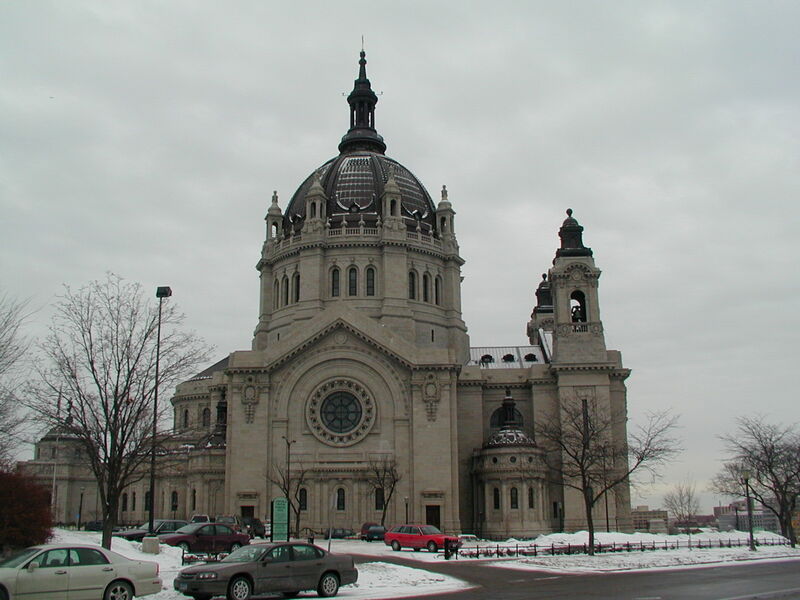 A pretty church in St. Paul. 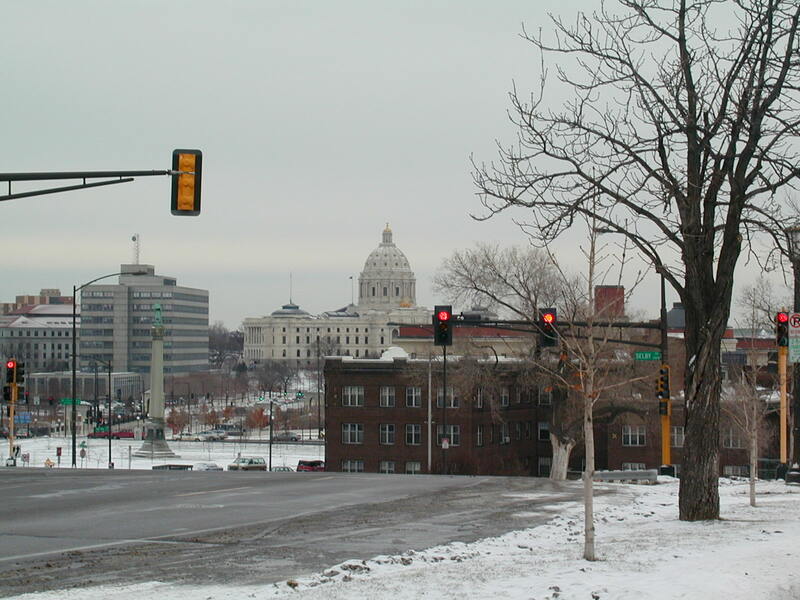 Downtown St. Paul, with a look at the capitol building in the distance. 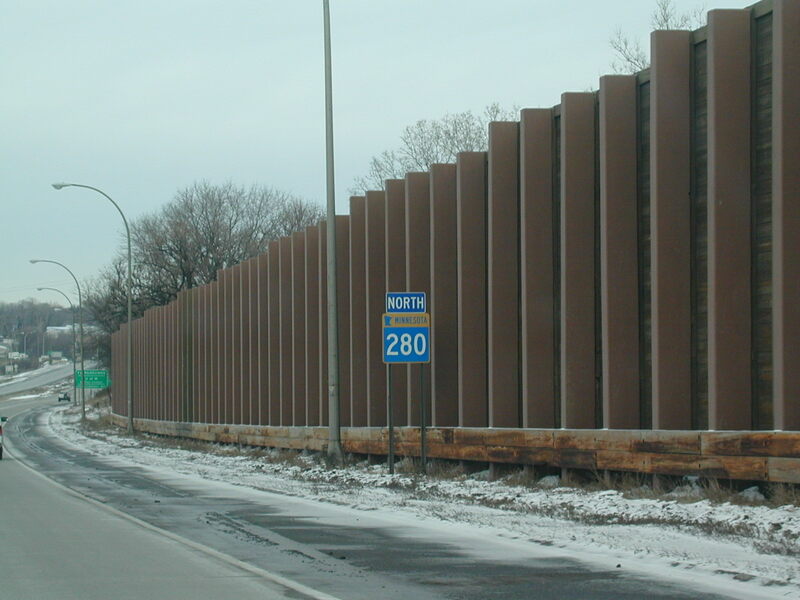 The I-35E shields have the state name in them, but the I-94 shield does not. The capitol looms ahead. 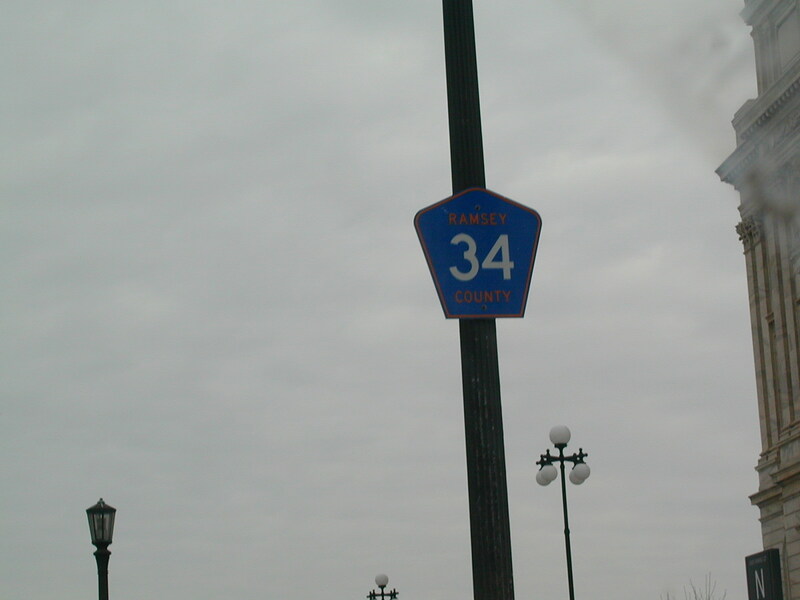 Ramsey County 34. 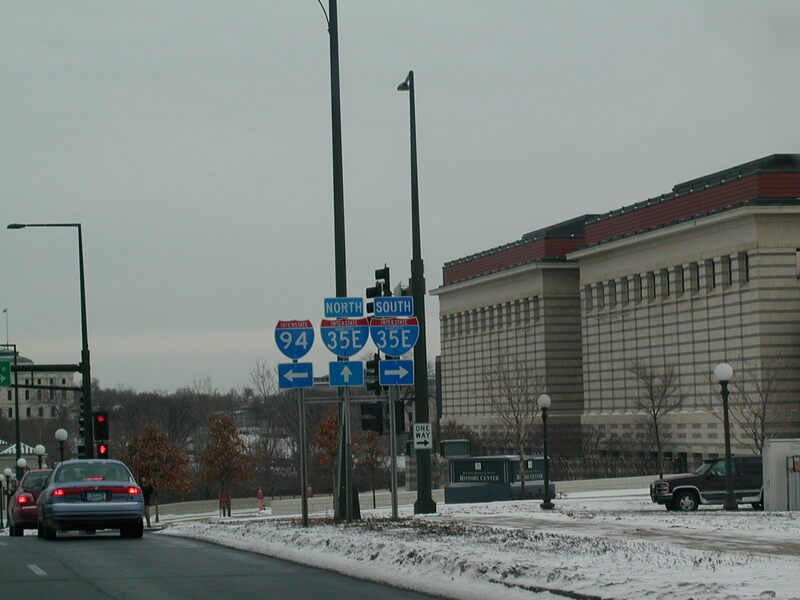 I don't know which road this is, but it is downtown St. Paul. Weird to have a county road signed in the city. 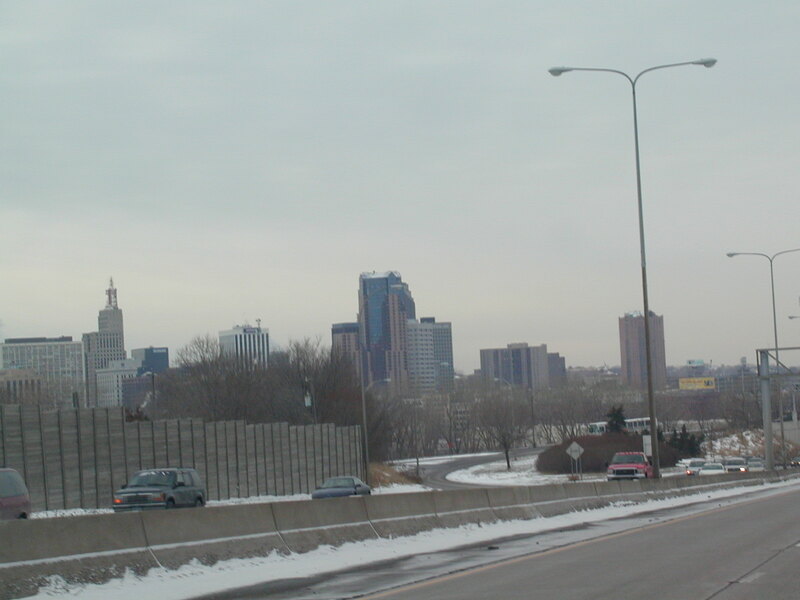 The ramp to MN 280 NB now in Minneapolis. 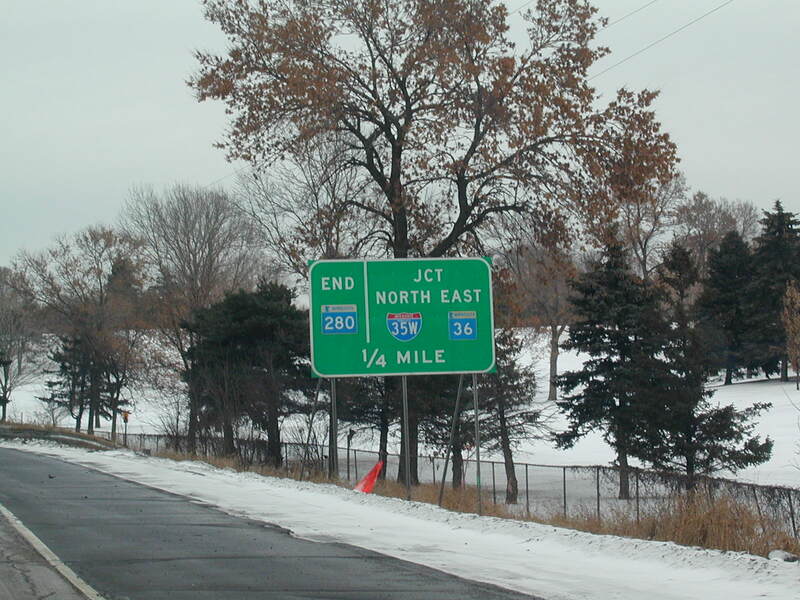 North MN 280. 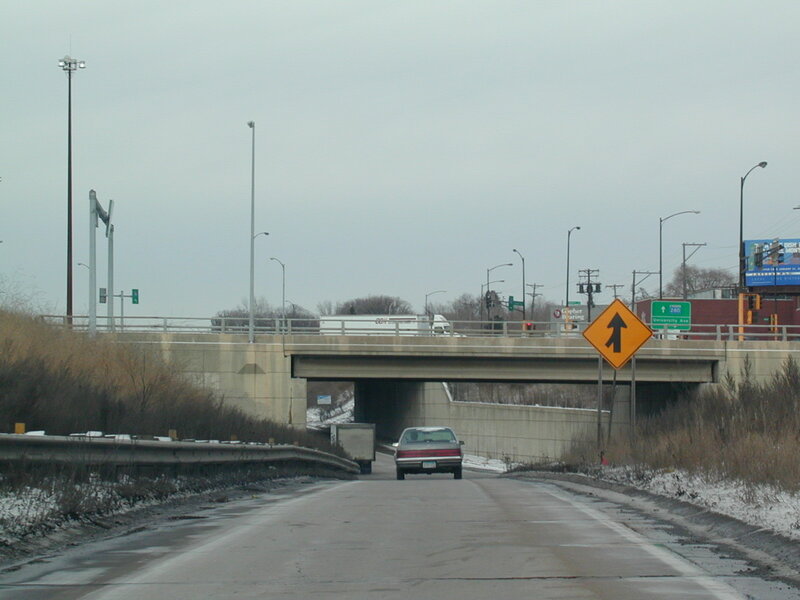 Route 280 ends at I-35W, which leads to MN 36. 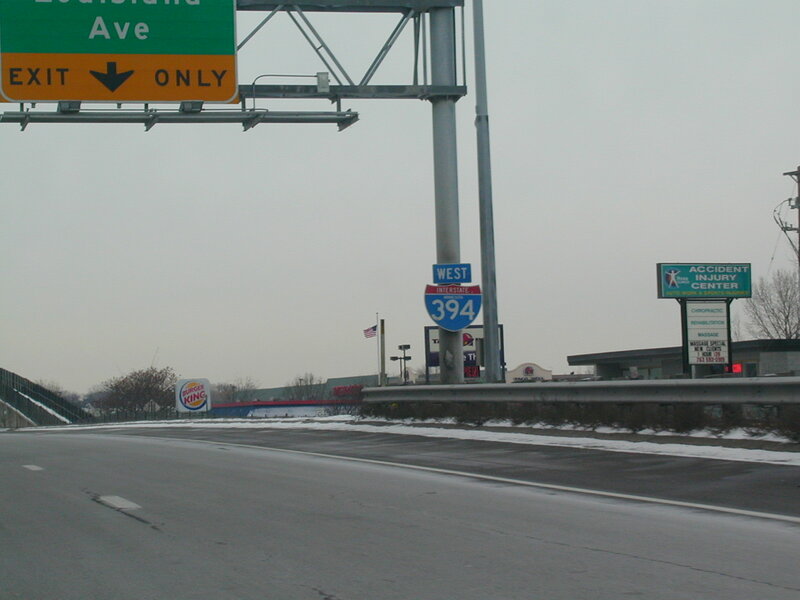 North I-35W, with what I think must be a milemarker 24 sign underneath. 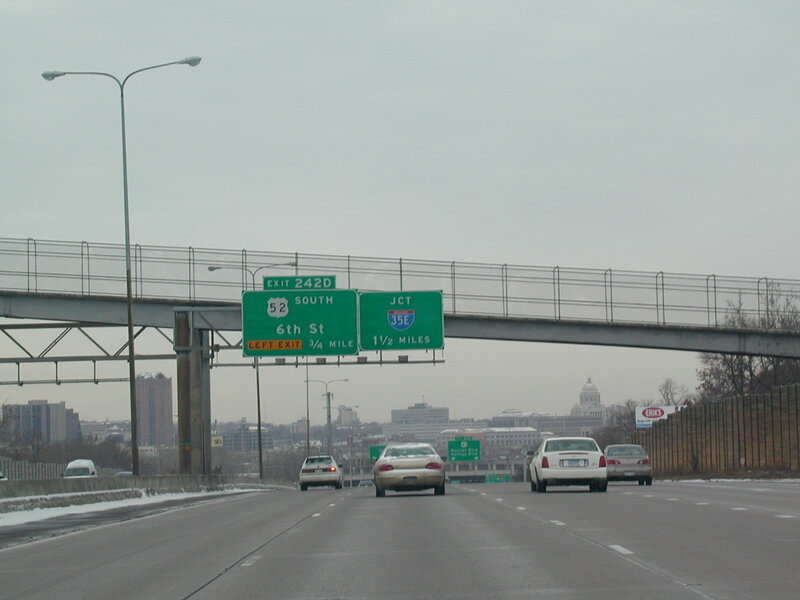 I-35W has no direction or control cities in this sign bridge. 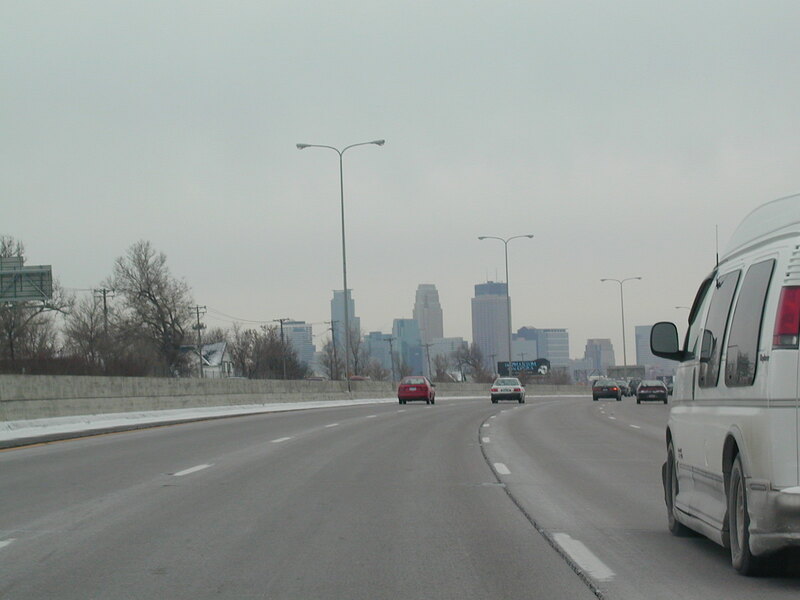 Our first look at the Minneapolis skyline on I-94 East, which is going south at this point. 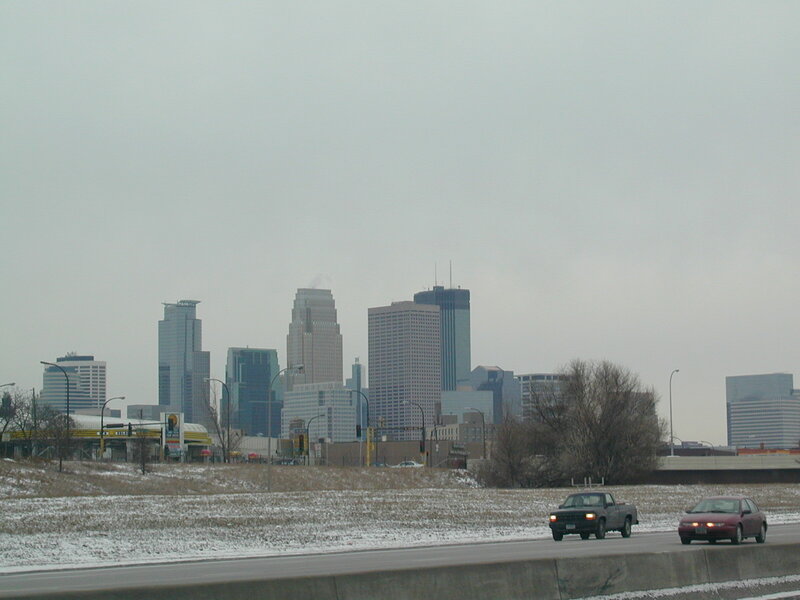 Closer view of the Minneapolis skyline. 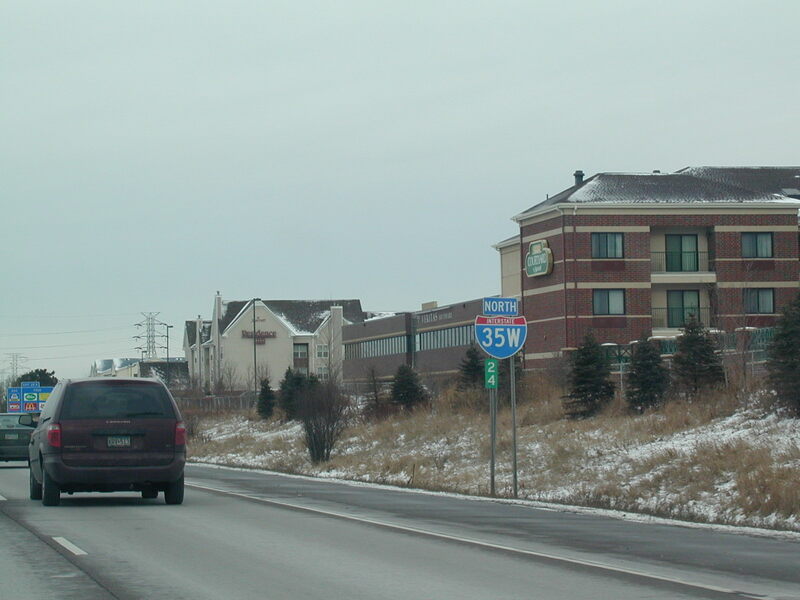 West I-394. 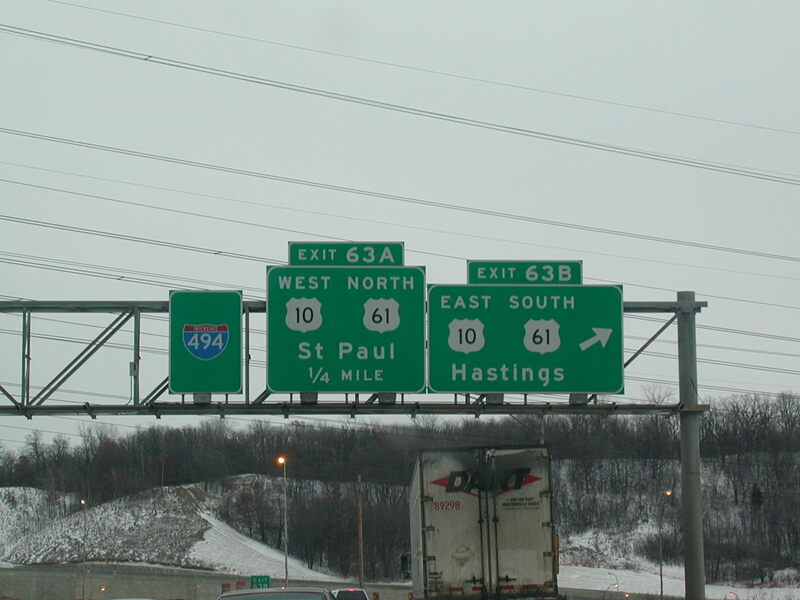 The exit for US 169 from I-394 WB. 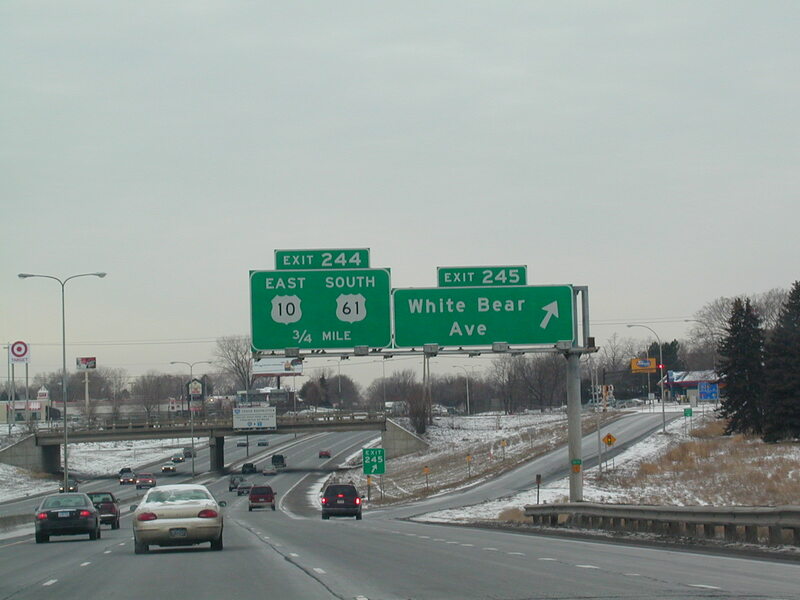 US 169 SB. 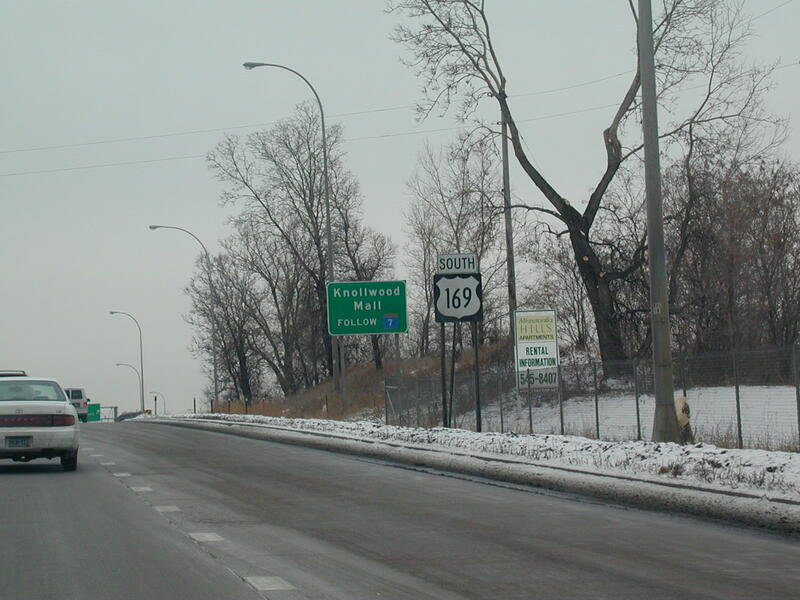 Route 169 is a small, narrow, busy freeway. I think it's cool that this is the same road that goes through Tulsa, OK. 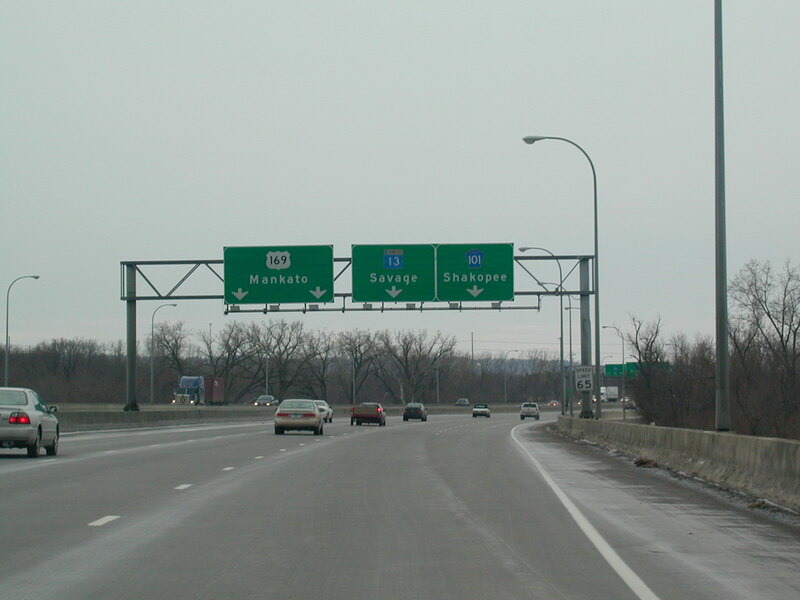 US 169 SB approaching US 212 and MN 62. 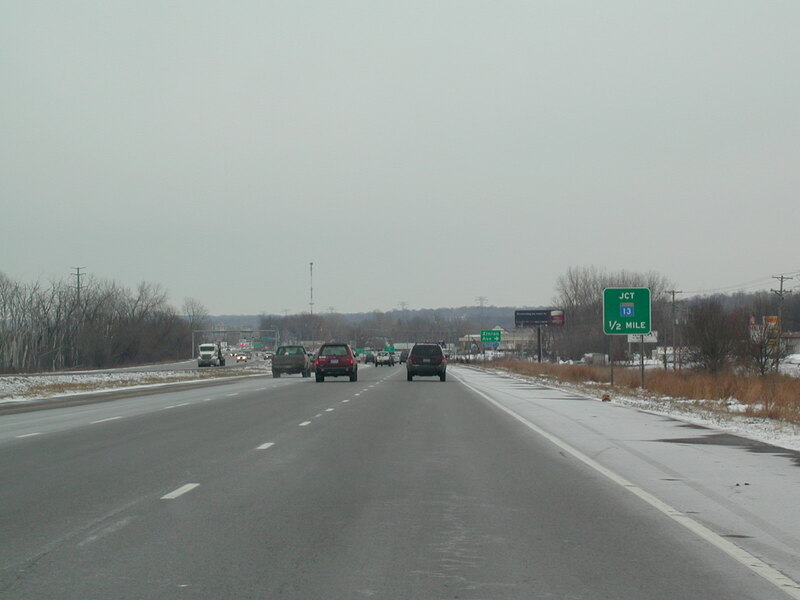 US 212 makes its eastern terminus here. 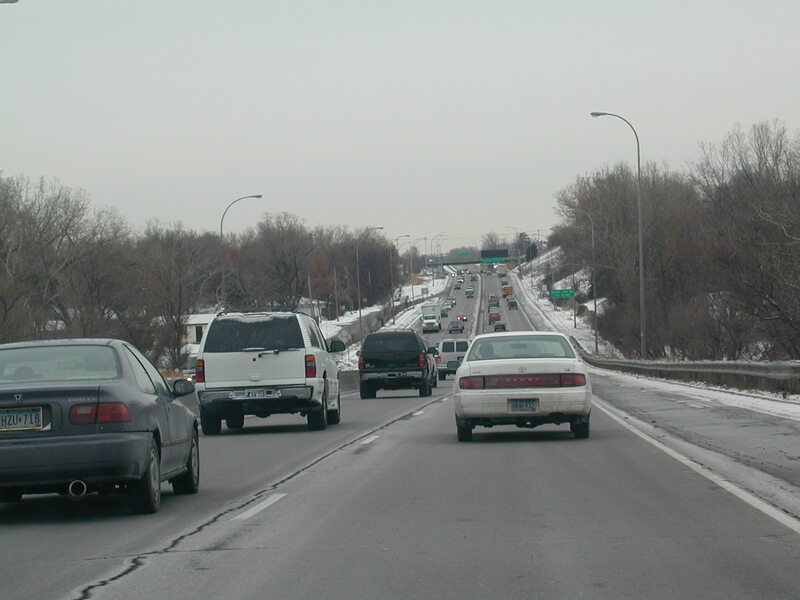 US 169 South at I-494. The freeway has ended temporarily. It kind of begins and ends a few times I think. 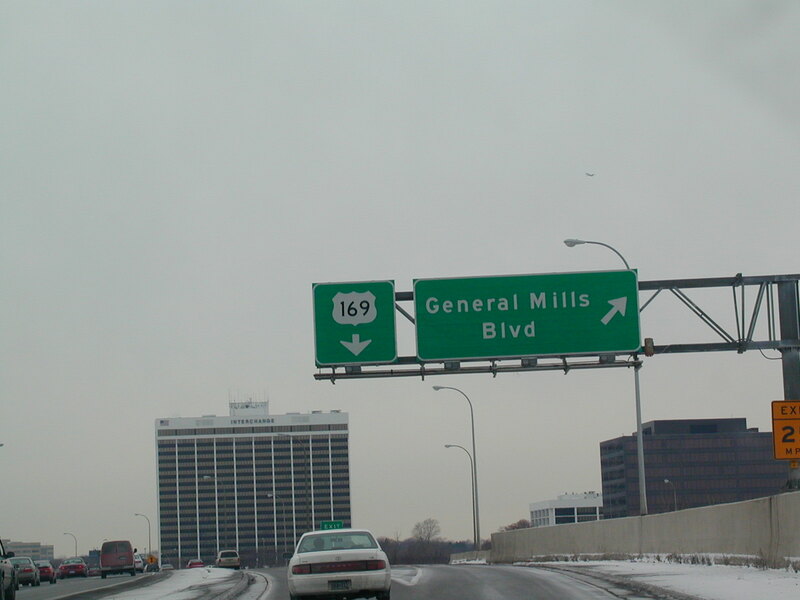 US 169 is not a freeway here. 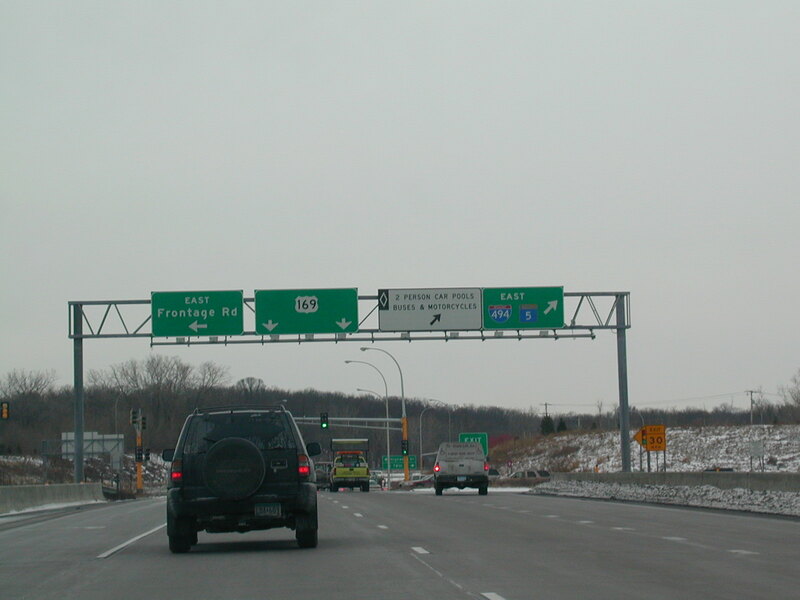 The MN 13 exit off US 169 SB. 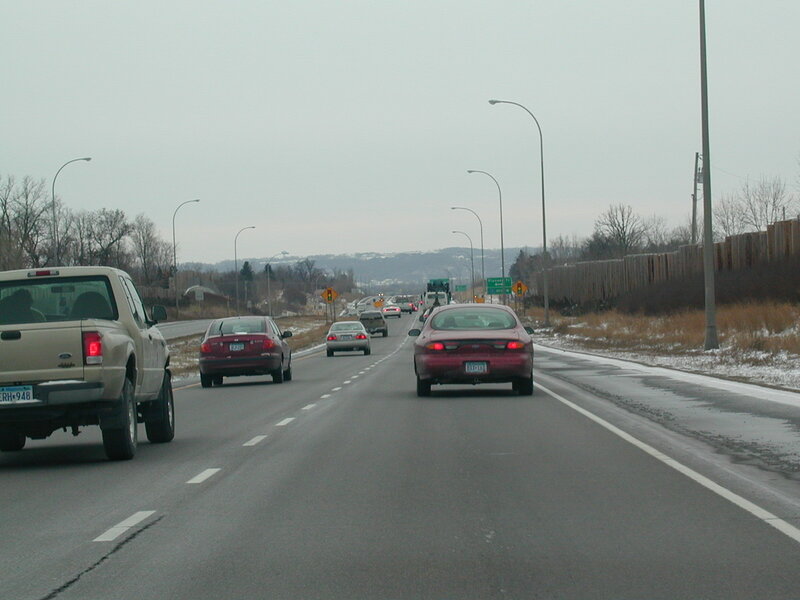 This is still CR 100 I think, approaching MN 13 looking East. 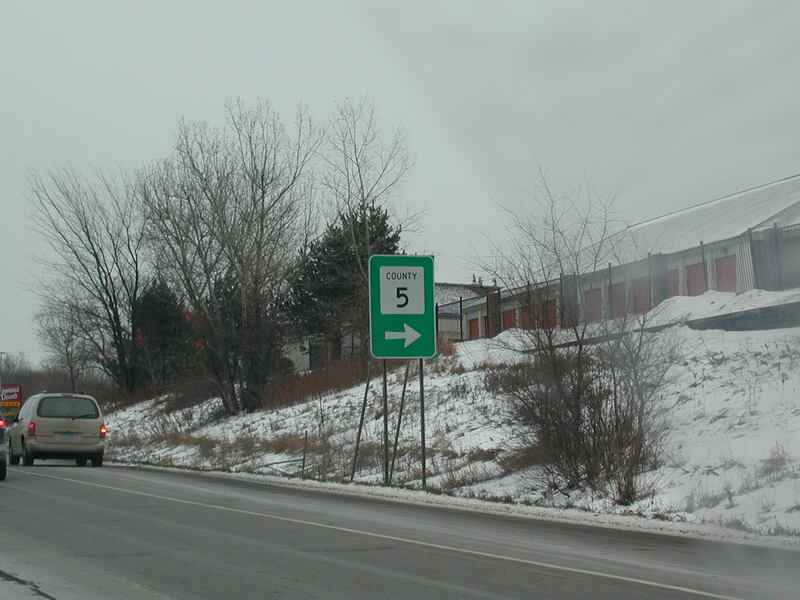 This must be the old-style county road signage. 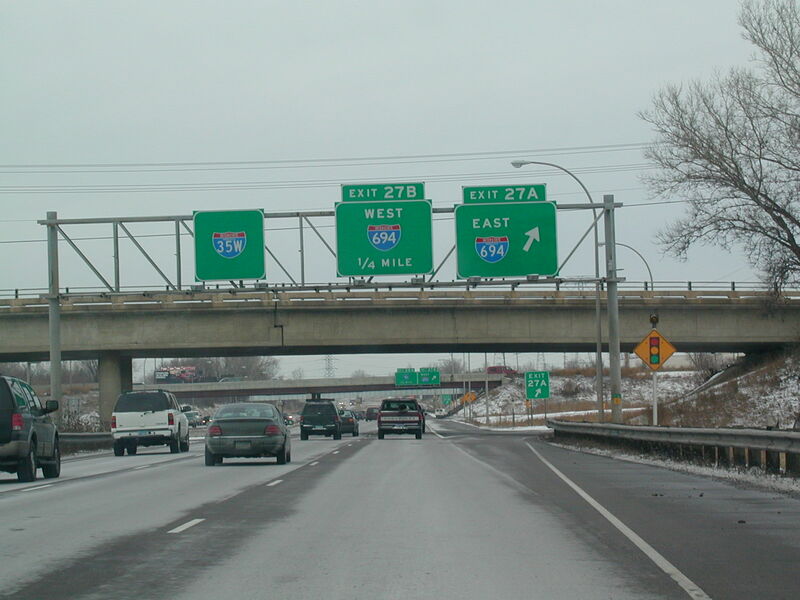 Quickly we jump on I-494, then south on US 61, which is also US 10 here.